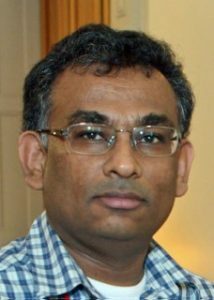 Muthucumaru Maheswaran is an associate professor in the School of Computer Science and Department of Electrical and Computer Engineering at McGill University. He got a PhD in Electrical and Computer Engineering from Purdue University, West Lafayette and a BScEng degree in Electrical and Electronic Engineering from the University of Peradeniya, Sri Lanka. He has researched various issues in scheduling, trust management, and scalable resource discovery mechanisms in Clouds and Grids. Many papers he co-authored in resource management systems have been highly cited by other researchers in the area. Recently, his research has focused in security, resource management, and programming frameworks for Cloud of Things. He has supervised the completion of 8 PhD theses in the above areas. He has published more than 120 technical papers in major journal, conferences, and workshops. He holds a US patent in wide-area content routing. This tutorial will be a revised version of the tutorial to be offered at IEEE NetSoft 2018 on June 29, 2018. For details, please see: http://netsoft2018.ieee-netsoft.org/program/tutorials/. The software tool (JAMScript is available as open source at github. The documentation site (under construction) is available at: https://anrl.github.io/JAMScript-beta.